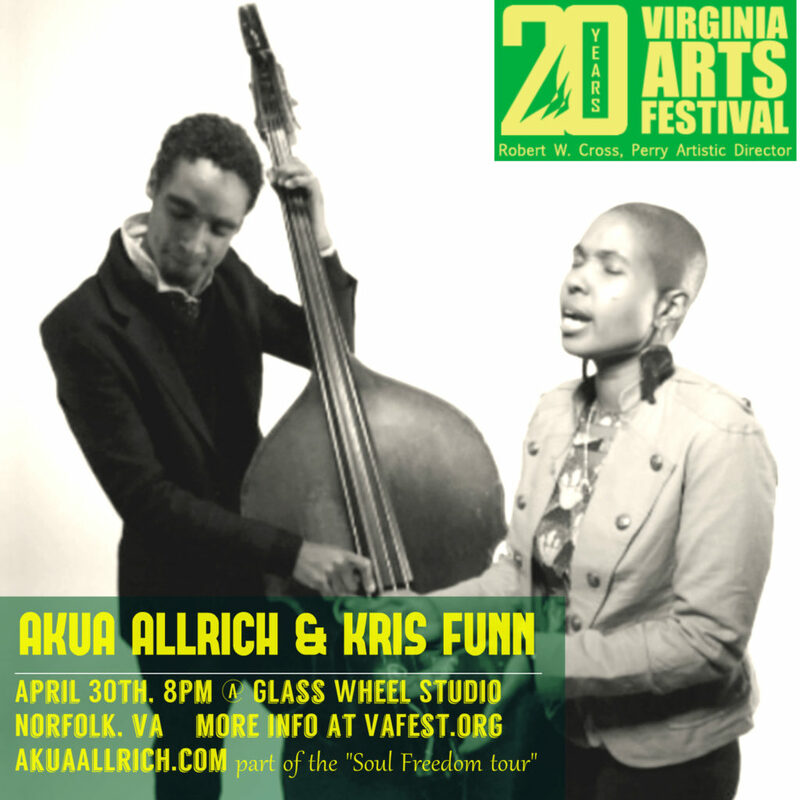 Akua Allrich & Kris Funn duo! Jazz vocalist and DC-native Akua Allrich has proven herself to be a musician of extraordinary talent and crowd-moving passion. With finesse and charisma, this vocalist, composer and teacher, has successfully etched out a place for her unique musical expression, electrifying audiences with sold-out performances. Joining her is Kris Funn, a Baltimore bassist who has played all over the world in major international jazz festivals and currently tours with the Christian Scott Quintet. Tickets are only $20! Previous post Akua & The Tribe at Anacostia Arts Center “Flower Power Party”! SUN 4/17 1pm!